Ausgrid, which provides power to much of New South Wales, has announced demand for its electricity by regular households has fallen 2 per cent each year for the past four years. "We are seeing the impact of energy efficiency," Ausgrid specialist, Paul Myors said, pointing to the move away from electric hot water systems, previously the main user of electricity in the home. In terms of hot water systems, which are monitored separately, he said reductions had been up to 8 percent over the last year. It is the first time the company has seen a fall in demand since the 1950s. The slashing of demand forecasts is expected to result in little need for more large-scale power stations until the end of the decade, until 2020, at the earliest. The drop in demand forecasts has increased pressure on the government to curtail capital spending by state-owned electricity companies. Response to the $170 million NSW Home Saver Rebates has been phenomenal. This was first announced in early 2009. The new hot water system must have replaced an existing electric hot water system. Consider the impact of information provided to consumers to assist their decision-making. A gas hot water heater. Produces up to 5 times more CO2 than a gas hot water system. Requires electric power generation and distribution infrastructure that is unnecessary for gas hot water systems. Produces 3.4 to 4.0 tonnes of C02 a year. No electric power generation required. Using gas to directly heat the water, only around 0.8 tonnes of C02 a year would be produced. 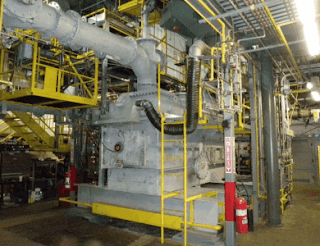 Assuming combined cycle gas generation has a thermal efficiency of 50%, then only half as much gas as used to generate electricity is needed to heat the water. Vfos is the cleanest, quickest and most effective way to reduce carbon footprint and rein in the environmental impact of fossil fuels - while we still can. Converts waste into eco-friendly energy. 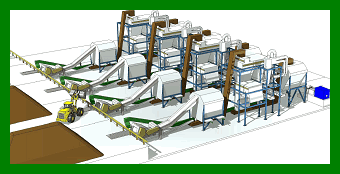 Total recycling - residue is then re-used. Creates opportunities, high job creation. No costly infrastructure changes needed. Vfos is a renewable energy fuel that can be burnt alongside other fuels with a much greater heating value than conventional fossil fuels and 90% less CO2 emissions. Vfos is a total recycling package - made from salvaged wastes which are converted into an energy fuel with minimal residue. Vfos contains no dangerous chemicals and has a near-zero sulphur reading of 0.001%, with ash content of 0.9% to coal's 15%. The solar air turbine may be modified to operate as an indirectly-fired gas turbine. The result is a solar thermal power station that can generate 200 kiloWatts of electricity 24 hours a day, 7 days a week - on sunny days and cloudy days. The BTOLA power generation system has lower fuel-costs because the solar thermal heliostat field is used to generate electricity during sunny periods. The capital cost of the integrated system is lower than building 2 separate systems because they share the turbine and 200 kiloWatt generator. Given the extracts of opponents to UN Agenda 21 below extreme conduct of carbon tax opponents is not surprising. The potential for violence from those who subscribe to such a conspiracy theory cannot be ruled out. The false premise and outright lies of anthropogenic global warming to change our way of life, for the worse! The bedrock principle on which America is founded is the belief that government is empowered by the consent of those who are governed. Public policies that are enacted by elected officials are, therefore, ultimately subject to the approval (or consent) of those who are governed. Perhaps the greatest danger of sustainable development is the transformation of the process through which public policy is created. It is difficult for Americans to comprehend a system of governance in which the government is omnipotent and ordinary citizens are subject to whatever whims may be imposed by whomever happens to be in power. Nevertheless, sustainable development requires such a system of governance to manage the affairs of individual citizens to insure that social equity and environmental protection are integrated into all economic activity. Social equity means that "...all citizens share equally in the benefits of natural resources." America is said to be home for only five percent of the world's population which uses 20 percent of the earth's resources. Therefore, America's consumption of natural resources must be reduced while providing access to the world's resources to the people in the rest of the world. The Framework Convention on Climate Change, with its Kyoto Protocol, will force a 40% reduction in energy use in America and in 33 other developed countries. The resulting increased cost of everything that uses energy will force a reduction of consumption in America. But since no energy use restrictions are imposed on the remaining 137 developing nations, industry will move to China, Mexico, Brazil, and Asia to produce their goods for the people in developing nations. The process will force the redistribution of wealth to achieve "social equity" in the name of protecting the environment. "Earth Dialogues" was held in Brisbane Australia in July 2006. ...Children were encouraged to denounce national sovereignty and embrace a global government. Few people in America have seen Agenda 21. Even fewer have read it. ...This is the UN Treaty that will move the world into the clutches of global governance. The "Precautionary Principle" ... of Agenda 21... is the idea that policy action should not wait on scientific justification if "government" decides that a "threat" to the environment exists. "Each State Party is liable for significant harm to the environment of other States or of areas beyond the limits of national jurisdiction, as well as for injury to persons resulting therefrom, caused by acts or omissions of its organs or by activities under its jurisdiction or control." "Parties may not claim sovereign immunity in respect of proceedings instituted under this Covenant." Who needs Coal Seam Gas anyway? Pine plantations and other crops can collect solar energy. They can also store solar energy and remove carbon dioxide from the atmosphere. In contrast, solar panels and wind turbines cannot store solar energy and cannot remove carbon dioxide from the atmosphere. Unlike solar panels and wind turbines, pine trees and other crops grow themselves - they are "self-manufacturing". There is no need for factories with high energy demands to manufacture trees and other crops. Unlike coal seam gas - once its been used, its gone - agriculture can provide a continuous source of energy. Biomass combined with carbon dioxide capture and storage to remove CO2 from the atmosphere. 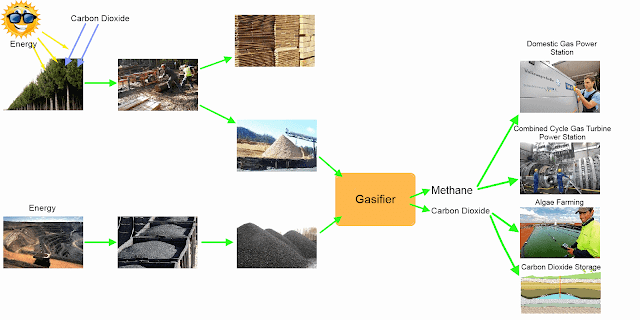 Sawmill waste, other agricultural and municipal waste and coal may be combined and converted into synthesis gas or methane and carbon dioxide. Highly drought tolerant due to a deep tap root. Is extremely high yielding with yields of 75 tonnes/hectare substantiated in initial trials. Is a perennial and does not need replanting after harvest. Palatable to livestock (can be cut and baled for forage food). Is not invasive and only propagated by cane planting (as with sugar cane). Planted using conventional sugar cane planting equipment. Harvested using conventional cutting, conditioning and baling equipment. 1. The Carbon Farming Initiative: new opportunities for additional farm-based revenue. 2. Australian pork producers have been cleared to start earning Carbon Credits under the Carbon Farming Initiative by cutting emissions from manure. They can also slash their power costs by turning the emissions into fuel. Read more at "Get Carbon Technology Right". Methane is the major component of natural gas and coal seam gas. It can be distributed through existing natural gas distribution pipelines. It can be used to fuel large gas power stations, domestic and commercial distributed power stations, or any other natural gas appliance. Carbon dioxide separated from the methane can be stored permanently or sold for a number of applications. For example, algae farming requires reliable supplies of carbon dioxide. Algae can be dried to use as stock-feed, and are very productive; able to produce over 100 tonnes per hectare a year. Carbon dioxide can be safely and reliably stored underground, an Australian-led team of researchers has concluded. The team found that depleted gas fields would be able to store globally significant amounts of CO2 - a key strategy in tackling climate change. The scientists are based at the Cooperative Research Centre for Greenhouse Gas Technologies (CO2CRC) Otway Project at Nirranda South in south-western Victoria. Beyond Zero Emissions has produced a plan that calls for the replacement of all Australia's fossil-fuel power generation infrastructure with solar and wind turbine technology. Features of this plan are summarised below. All existing coal mines, road and rail transport of coal, and coal-fired power stations. All natural gas power stations including gas peaking plants. All of the natural gas distribution pipelines. Electricity grid connections from multiple wind farms, where any or all of those wind-farms may be idle for extended times. This massive and expensive infrastructure replacement planned by Beyond Zero Emissions will only reduce emissions of carbon dioxide into the atmosphere. It will do nothing to remove carbon dioxide already in the atmosphere.